At the end of a long day, a nice, relaxing bath can be one of the best ways to treat yourself, but if your bathtub is old and rusted, it may not have the same effect. There are a few proven methods to bathtub remodeling, but one popular option is putting in a custom-fitted acrylic bathtub liner, which is a molded insert that is installed over your old tub. However, there are both pros and cons that come with this choice. 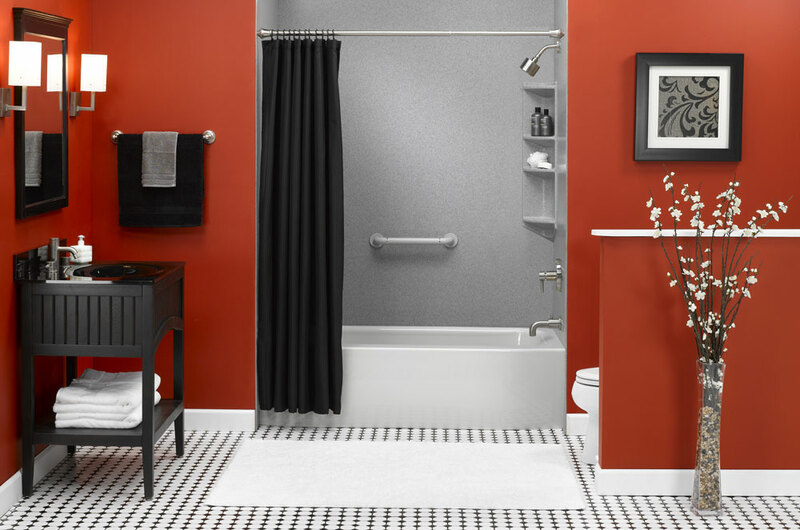 Pro: No need to replace the existing floor or walls in your bathroom. Do you have tile flooring or walls in your bathroom that you just don’t want to replace? Then, a bathtub liner would probably be the option for you. When replacing a tub completely, it’s possible to save the original flooring, but more likely than not, some of the tile around the tub would have to be replaced. And the bathroom may even have to be completely gutted by replacing the plumbing and updating the fixtures. When installing a bathtub liner, the existing flooring and walls can be preserved if you want them to be. If you aren’t a fan of your wall surrounds, you can choose new bath wall surrounds to match your new tub liner. Con: Water can get between the liner and the tub. Pro: Save money on remodeling costs. Installing a tub liner as opposed to a complete bath remodel can save you a lot of money on your bathroom renovation. Tub liners are usually only a third of the cost of a total bath remodel, which could be a huge deciding factor for your project. They also take less time for installation. If you want to keep your time and costs down and aren’t interested in a complete bath remodel, a tub liner may be the best option for you. Con: Acrylic, fiberglass, and free standing tubs can’t be lined. If your old tub is acrylic, fiberglass, or a free standing tub, you won’t be able to use an acrylic bathtub liner. These tubs’ material make them unable to be relined. Free standing tubs do not have walls around them, so they cannot be lined either. In this case, a installing a new bathtub would probably be the best choice for your bathroom as a bathtub liner would not even be an option. Pro: Durable, safe, and easy to maintain. Acrylic bathtub liners are non-porous and can be cleaned easily with soap and water. This helps to cut down on rust, stains, and chips in the finish of your tub. Liners have non-skid surfaces, which allows them to be a safe option as well. Other bathroom accessories, like a safety grab bar or a corner caddy can be added to improve the function. Unlike refinishing or reglazing your old tub, liners can offer a durable and longer-term solution to your bathtub problems. Overall, it comes down to what you want and need out of your bathtub remodel. Both tub liners and installing a completely new tub are good solutions to replacing your old bathtub. For regional installation and remodeling contact the Bath Doctor in Cleveland (216-531-6085) or Columbus (614-252-7294). We’ll handle the work so you can get back to relaxing!